On every Saturday, you can find our cycle of apero-concerts. All styles of Jazz are approached to touch a varied public and it is essentially the Belgian musicians who are put in the honor, even if more and more international groups come to enrich our season. This cycle of concerts began after the inauguration of the Jazz Station. It is necessary to remind that this time slot was chosen to avoid competition with the other jazz clubs of the capital and to fill a lack regarding concerts in the front-evening. It is now done with this cycle of concerts which is the key activity of the programming. The schedule of these concerts always allows the families to come accompanied with their children without compromising their habits. Without forgetting that the audience also appreciates to be able to plan an end of the evening somewhere else or to join friends at a convenient hour. 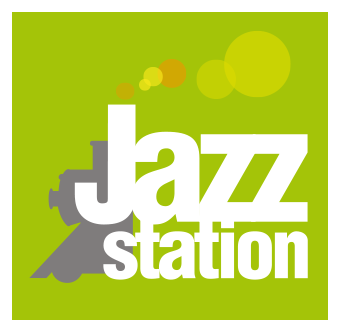 The other days of the week, you can find the program of Les Lundis d’Hortense "Gare au Jazz", on Wednesdays), the Jazz Station Big Band, the Singers Nights, as well as the Cartes blanches, the releases of albums, Jazz Nights and young audience concerts. You can find the program of these activities in our agenda. The usual price of these concerts is 10€ for everyone and 8€ for students, jobseekers and the members of the association Jazz Station. The entrance is free for children until twelve years. No reservation for these concerts (except if mentioned in our program).